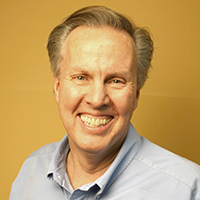 John R. Stoker has been immersed in organizational development and change for over 20 years. He is the Founder and President of Light Storm Consulting, Inc. and DialogueWORKS, Inc. In these roles John has worked extensively with a number of companies, helping them increase their capacity to enhance effectiveness and improve results. As a facilitator and coach, John works with leaders to improve their business results and focuses on developing interpersonal skills they must have in order to lead. He has experience in the fields of leadership, change management, dialogue, critical thinking, conflict resolution, and emotional intelligence. Companies throughout the United States and in several foreign countries have called on John for training and coaching. He helps professionals talk about what really matters by teaching them how to hold those difficult conversations that people tend to avoid. John has worked with leaders as well as intact teams and cross-functional teams that are committed to improving their results. In the past, John worked as a practicing criminal defense attorney (until he repented! ), spent summers as a Grand Canyon white-water guide, and he taught for 13 years as a faculty member at a leading university.